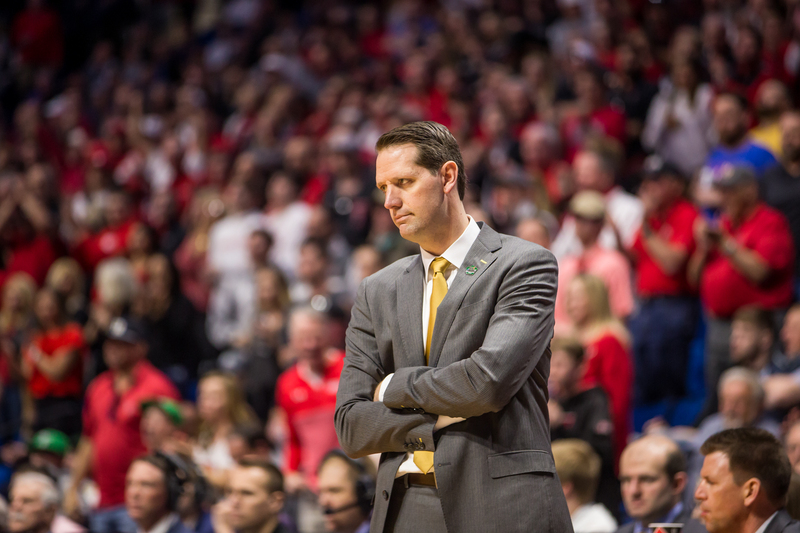 Men's Basketball Head Coach John Brannen reacts during the game against Texas Tech. The Norse fell to Texas Tech 72-57 in the first round of the NCAA Tournament. 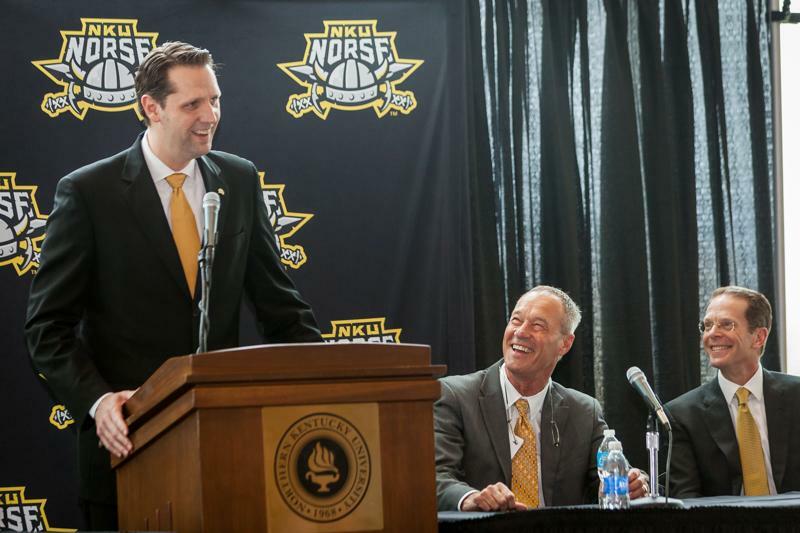 NKU men’s basketball coach John Brannen will leave the Norse for the Cincinnati Bearcats. NKU Athletics confirmed Sunday that Brannen, who has coached the Norse since 2015, has accepted the top coaching spot at the University of Cincinnati. Former UC Head Coach Mick Cronin left Cincinnati last week to become UCLA’s next head coach. In three seasons of Division I eligibility, Brannen led the Norse to two Horizon League Championships, two NCAA March Madness bids and a National Invitation Tournament. The Norse have gone 72-30 in the last three seasons, including 40-14 in conference play. He was named Horizon League Coach of the Year in 2017. “I, along with NKU and the Northern Kentucky Community, am extremely thankful of John’s accomplishments as our head men’s basketball coach the last four years,” NKU Athletic Director Ken Bothof said in a statement. A national search for NKU’s next men’s basketball coach is now underway. Thank you, @coachbrannen, for the last four years. We’re grateful for all you’ve done for the student-athletes, program and community. Good luck across the river. John Brannen is announced as NKU men's basketball head coach, April 8, 2015.